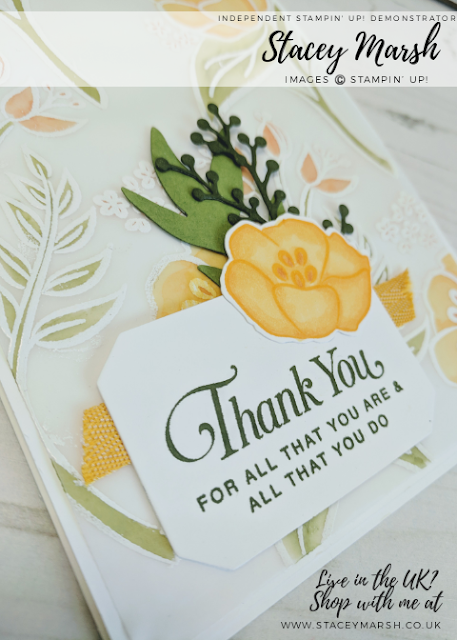 One of the great things about the current Sale-a-Bration promotion is that there is a product suitable for every crafter, stamps, ribbons and embellishments, dies, papers and even Memories and More card kits which is what today's set of cards features! 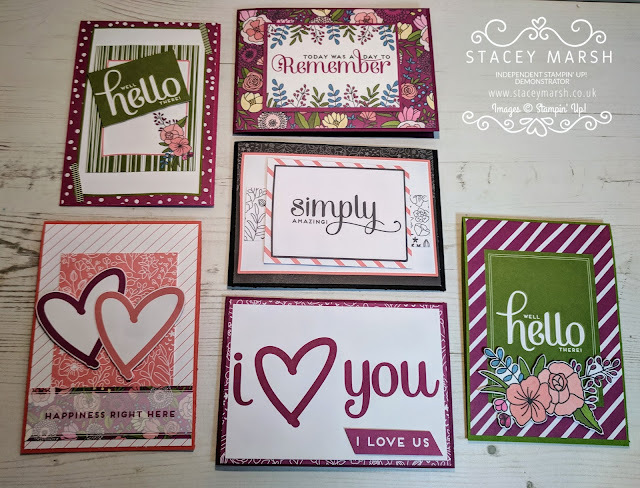 The name Memories and More has been given to Stampin' Up! 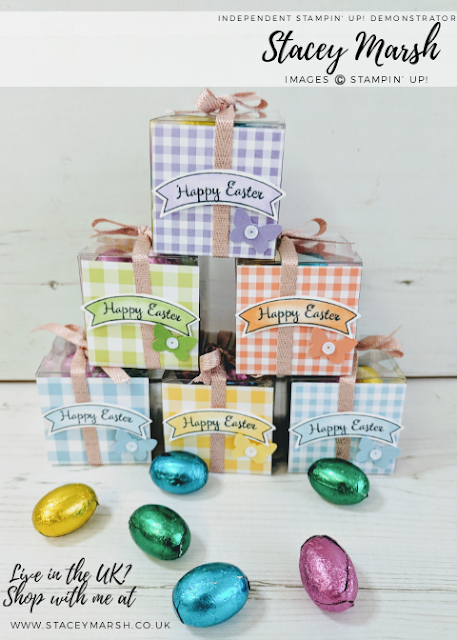 's range of pocket scrapbooking products. 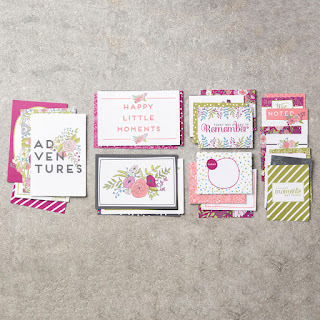 I am a big pocket scrapbooker, it fits in great with my busy life and it really does look fab! 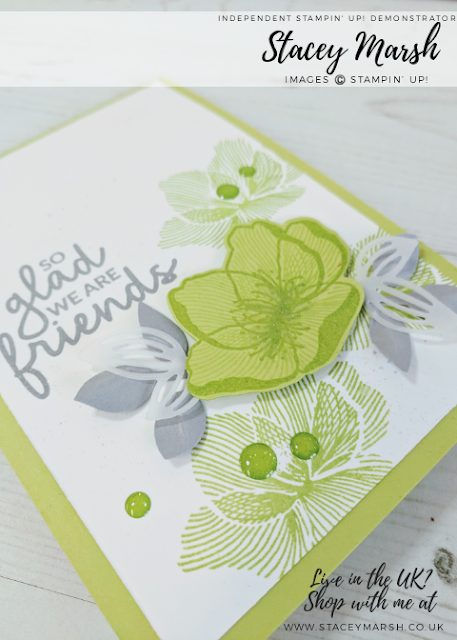 However, for today's project I have used cards from the Sweet Soiree Card Pack to create my own greetings cards! 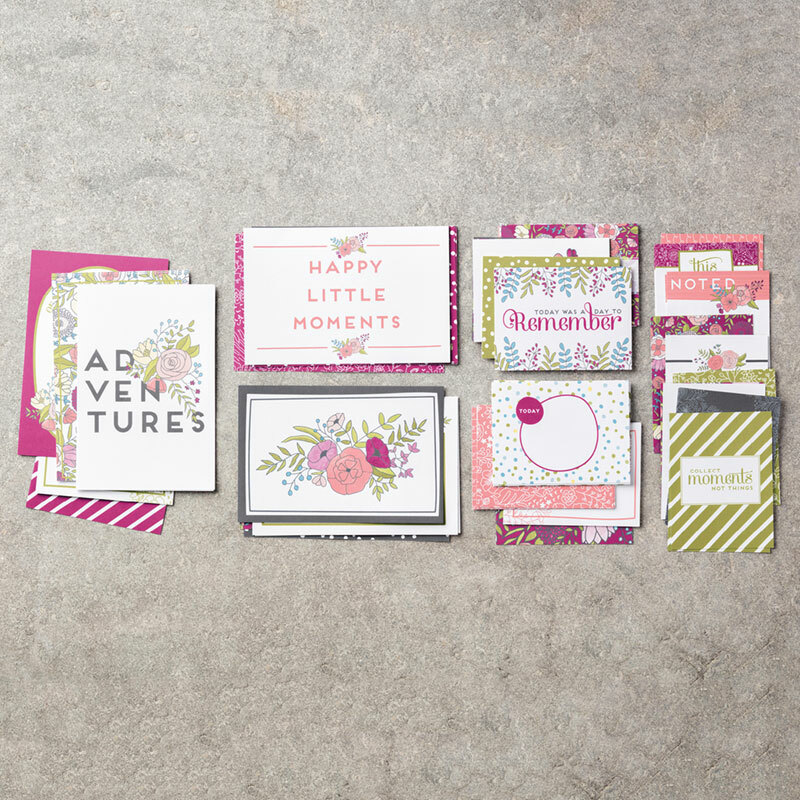 The Sweet Soiree Memories and More Card Kit contains 72 double-sided journaling cards and as always they coordinate with Stampin' Up! colours and products, good eh! 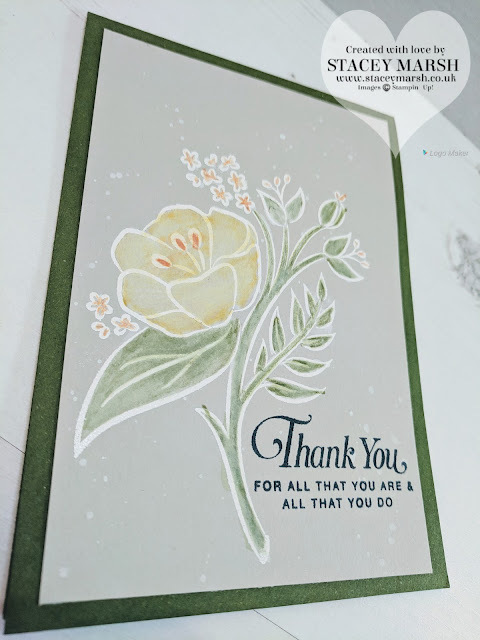 I have used basic cardstock to create the bases for my cards, and a range of journaling cards, layered, cut down and even fussy-cut out some of the images to make my own embellishments! 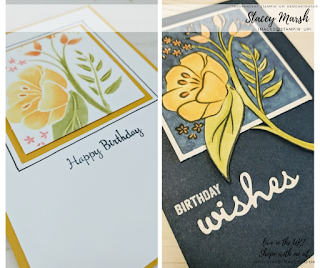 After making these cards, I still have lots of the cards left over to add to my pocket scrapbooking stash! 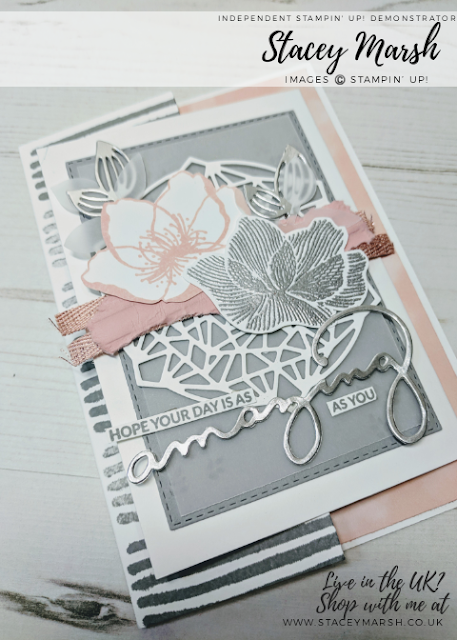 This card kit is currently available for FREE until the end of March when you place an order either with me, or online totaling £45!